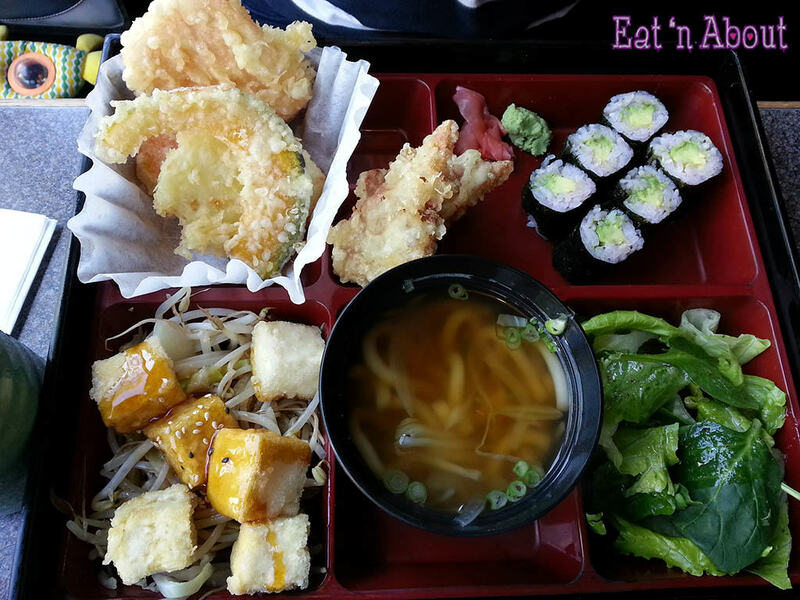 TDog and I met up for a much needed girl date, and we went for sushi lunch at Okonomi Sushi in Uptown New Westminster. Okonomi Sushi is a Korean-run Japanese restaurant. It’s spacious and clean, but the service is a bit slow and sometimes it feels like there’s a language barrier. Extremely polite though. I rarely make it for the lunchbox special deals at Japanese restaurants, this time I made it! I chose the sashimi box combo and that includes 3 pieces of salmon and 2 pieces of tuna. Like most Korean-run establishments I’ve been to, the pieces of sashimi are thickly cut. The chicken karaage were also better than I expected!! They were crispy, juicy morsels of tender meat. The tempura were equally impressive. The amount of batter was appropriate and overall crispy and light. The sashimi dipping sauce was a tad too sweet though. Beef teriyaki was dryish, which I find the is the norm. TDog had Lunchbox E which was a vegetarian combo. It had tofu teriyaki (agedashi tofu with teriyaki sauce) and avocado roll. They made a mistake and gave her both the veggie udon AND inari tempura (supposedly you get a choice of one). The udon was chewy, a very nice texture. 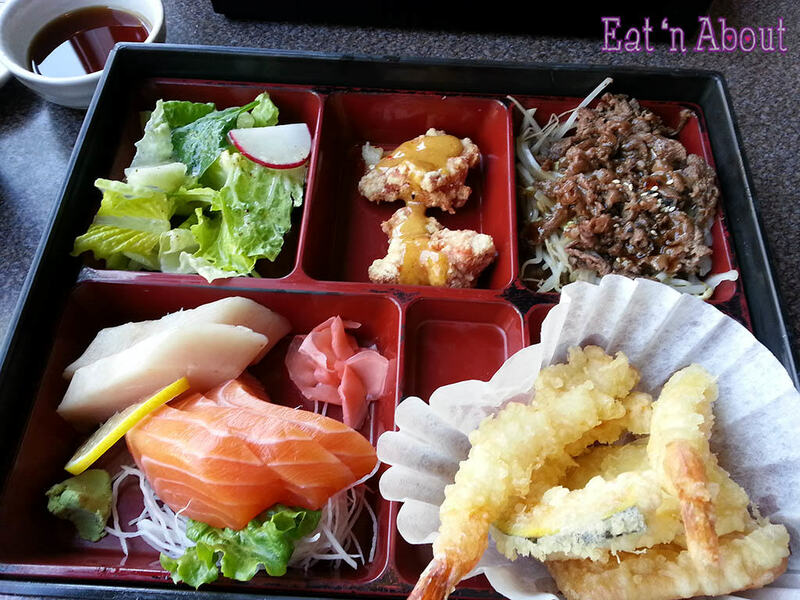 I was quite impressed with Okonomi Sushi and I would gladly come back for another lunch date. Or dinner date. Or whatever. Next PostThe Keg & Bullfrog Power Partners Up!